Failing to turn off stress is what keeps us from better health. That’s right, stress alone is not a health issue. In fact, by design the body handles and even produces stress. That means there are easy ways to turn off stress. All you need to do is make sure you do it regularly. This actually isn’t the better question. Yes, we need to avoid adding stress where we can, but the act of living produces stress. Plus, the body considers all stress the same. So it measures the stress from playing and winning your basketball game the same way it does with dealing with an unexpected bill or other bad news. What can I eat to turn off stress? Glad you asked! Magnesium is a mineral that belongs in our cells to turn off stress. Calcium comes into the cells (like an uninvited neighbor coming over when you just want to watch Netflix alone) and you need magnesium (like a bouncer) to tell them to go home. Magnesium pushes calcium back out of the cell to restore calm. Thus, magnesium rich foods (and beverages) are your go-to to turn off stress regularly. Should I take a magnesium supplement to turn off stress? Maybe. 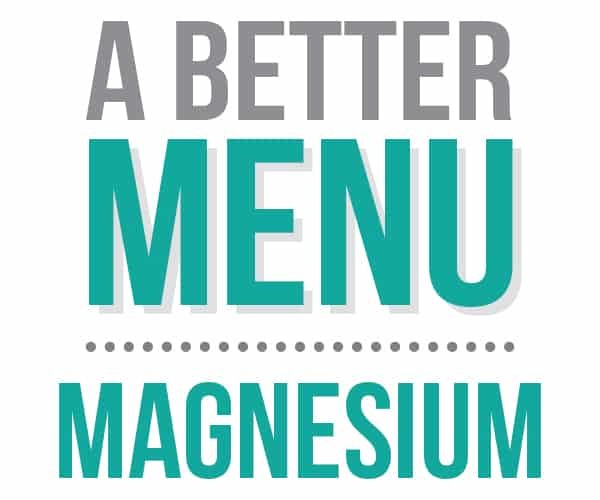 Supplements can be a great way to get in a nutrient like magnesium to help you meet your daily needs. Not all magnesium supplements are made of the same form so some don’t work as well. Also, sometimes it is actually better for your body to adjust your calcium intake instead of adding more magnesium. We recommend that you take the Magnesium and Calcium quizzes to find out what is better for you. Always take a photo of any supplements and share them with your practitioner. 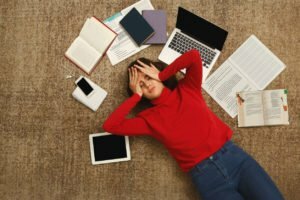 Are there any good non-food ways to turn off stress? Breathing. There is a specific breathing technique that works the way magnesium does to turn off stress in the body. It is called the 4-7-8 breath or as I like to call it, the STOP (Stress, Turn Off Please). Does meditating help to turn off stress? It depends. Does meditating stress you out? A lot of patients tell me the thought of it or sitting there is stressful. That can be the case in the beginning or for some people. But there is excellent evidence and feedback from a lot of people who meditate that it helps with their stress. So if sitting and meditating is stressful maybe a walking meditation or time without any communication devices is a good place for you to start. Or check out an app to help you get started. We like CALM and Headspace.